"We are going away with our families to Europe and I want them to be able to watch movies on train trips (we'll have 4 x 2-4 hour trips) & transits. Also on the odd occasion when we're having downtime in the hotel etc & there isn't English language tv. I wonder if there are any good movies for kids and families?" Probably, most of us have come across this question or were asked to give some advices about good movies especially for trips and during peak season such as various holidays. 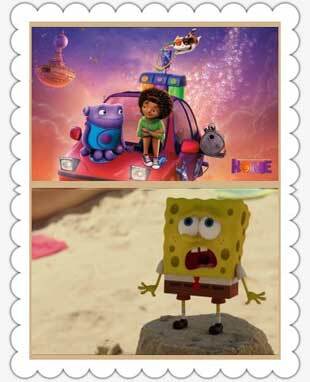 It is great that there is a guide about top movies for family to watch, which can solve all related problems. As you'd expect, I summarize the top 10 best family movies 2016 and all time in this article based on opinions from film critics. And to in order not to carry a DVD player and without the need of carrying a DVD player or cumbersome DVD collections, simple guide on how to free download films and rip kids & family new movies on DVD is shared for you. For the family movies that are just released, you're suggested to buy them from iTunes. However, you can also free download them with a third-party movie downloader like MacX Video Converter Pro. This software will free download Disney/Pixar/Dreamworks, Hollywood movies in 4K, HD, SD, Bluray, 3D, 360 VR from YouTube, Vimeo, Dailymotion 300+ online movie sites with fast speed and original quality. And also it will directly download them to your iPhone (iPhone 7/7 Plus, iPhone SE/6S etc), iPad, Android phones and tablets. Speaking of the top movie titles for family to download, Disney movies will always earn a place. Among 2016 top 10 movies for family and kids from Disney, Zootopia is well-deserved the best of the best. This movie tells a story about a cute bunny and a sly fox happening in a city of animals. The movie is immensely enjoyable for families of all ages, both kids and adults. It has brilliant story, adorable characters, beautiful pictures and also warm and great message. It's probably the best animated movies for kids in the decade. It should be admitted that almost all Disney movies will definitely enchant kids and adults. The Jungle Book, another masterpiece from Disney, is right the second best family films 2016. The movie is a live-action/CGI fantasy film about the classic story of a little boy, who is raised by a group of wolves and is hunted by a ferocious tiger. It is amazing that the little boy is the only character that is not a creation of special-effects. The movie is fun, visually dazzling and entertaining. It's a gorgeous movie for kids & families of all ages. There are two animal-speaking films in the list of the best movies for family and kids, here another family movie Finding Dory will also bring enough fun. Finding Dory is the long-anticipated sequel to Pixar 2003 big hit Finding Nemo. After 13 years, the forgetful blue tang fish starts an adventure to find her long-lost parents with the help of her friends Nemo and Marlin. 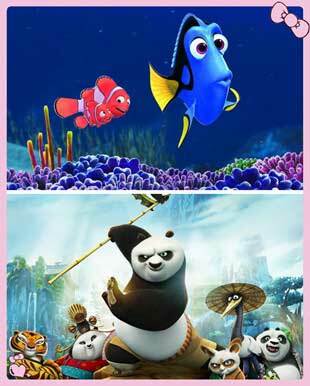 Besides the stunning effects, funny story and cute fishes, the movie tells us how important family is. It is a good movie for entire family. Also see Best Pixar movies for kids. The cute and hilarious panda movie is among the best kids and family movies. 2016 Kung Fu Panda 3, the third part in its series, turns out to be the best. It tells a story after Po reuniting with his long-lost father and starts a training to fulfill the challenge from an evil supernatural warrior. The movie is packed with thrilling fights, stunning visual effects, humors, great soundtracks, cool and funny story, as well as emotions. The film is one of the best DreamWorks animation movies and a brilliant work to watch, and you can free download the family movie trailer to have a sneak peek. The movie The BFG unites three story-telling masters, Disney, Steven Spielberg and Roald Dahl. The movie is based on Roald Dahl's beloved fantasy book, telling a story about an adventure of a little girl and the Big Friendly Giant. Despite the negative remarks from the critics and some adult audiences, it's a wonderful family movie touched by brilliance. For those who have read the book, the movie has done a good job to tell the original story with great acting, beautiful soundtrack, amazing special effects and also great film making. 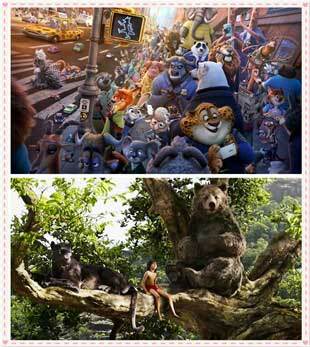 It's recommended as one of the best family-friendly fantasy movie, and you can free download Disney movies for family. The 2016 Disney movie Pete's Dragon, a remake of 1977 Disney mixed live action animated musical of the same name, is another quality family movie offering strong entertainment. The movie focuses on a little boy, who was orphaned at 5 and taken care by a friendly dragon. 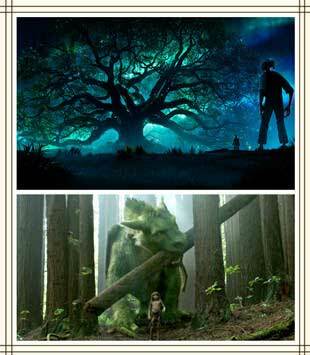 The movie has some intense scene when the dragon is hunted by the woodcutters but overall, it's a sweet movie about family, imagination and friendship. It's a great family movie for kids and also adults. Moana is one of the best family movies from Walt Disney Pictures. It tells a story happened in Ancient Polynesia, when a terrible curse incurred by the Demigod Maui reaches Moana's island, she answers the Ocean's call to seek out the Demigod to set things right. 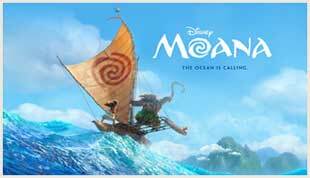 It's a movie about animation, adventure, comedy, fantasy and musical, which is terrific for watching with your family. And you're able to take advantage of a fast movie downloader to save it offline to your computer, iPhone, iPad, Android devices for limitlessly playback. As a 2015 American 3D computer-animated buddy comedy film, Home was distributed by 20th Century Fox and released on March 27, 2015. This good family movie is based on Adam Rex's 2007 children's book The True Meaning of Smekday, which tells a story about a teenage girl who manages to prevent an invasive from an alien race named the Boov. It receives $158.3 million in North American as of May 3, 2015. If you miss this animated movie in theatre, never mind, you can watch this family movie on DVD version at home with family. Based on the Nickelodeon television series SpongeBob SquarePants, The SpongeBob SquarePants Movie 2 is a 2015 American animated/live action adventure comedy film. Actually, this film is a sequel to 2004's The SpongeBob SquarePants Movie. I believe that most of kids have seen the former movie. So, comparing to other kids and family movies, this one is easier to accept both for kids and family members. Beyond question, Big Hero 6 is one of the best family movies so far. Released by Walt Disney Picture in Nov. 7, 2014, it is almost loved by everyone. If you are looking for top 10 movies for family, Big Hero 6 must be your No.1 choice. According to statistics, Big Hero 6 had earned $222.5 million in North American as of May 3, 2015. Obviously, it met with both critical and commercial success. By the way, this movie tells a young robotics prodigy forming a superhero team to combat a masked villain. Also distributed by 20 Century Fox, Penguins of Madagascar is a 2014 3D computer-animated spy-fi action comedy film. 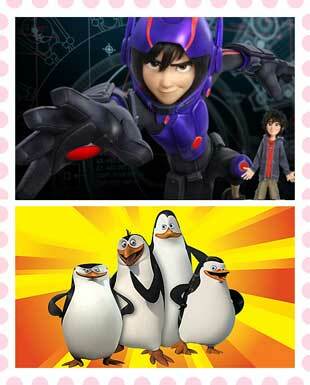 It is worth mentioning that Penguins of Madagascar has been nominated for 2015 Kids’ Choice Awards. And its video game version has been released on November 25, 2014. Thus, no matter your family members are movie fans or video game fans, don't miss this top rated family movie. Step 1: Free download and run this best movies downloader on Mac (macOS Sierra/El Capitan) or the Windows (10) version for PC users. Copy the URL of the movie, paste it to the message box and then click "analyze" to load 4K uhd movie details. Step 2: Choose output format, resolution and file size that you desire. Feel free to compress the large- size 4K movies to smaller size without losing quality with the advanced editing features. Step 3: Click "Browse" to specify an output folder on your computer to save the downloaded family films. Step 4: Hit "Download Now" to start to free download top family movies. Several minis later, you can eventually enjoy clear image of those movies with kids offline with no buffering. For a long journey, it will be terrible to carry a pile of DVD discs. If any of your family movie DVDs are your kids' favorite and playted repeatedly, your DVD collection is also at risks of getting scratched. You are suggested to backup and rip the top rated family movie DVDs for constantly enjoying with your kids & family members. As most of the family movies come from Disney, Dreamworks, Pixar etc, those DVD are protected with strong copy protection. 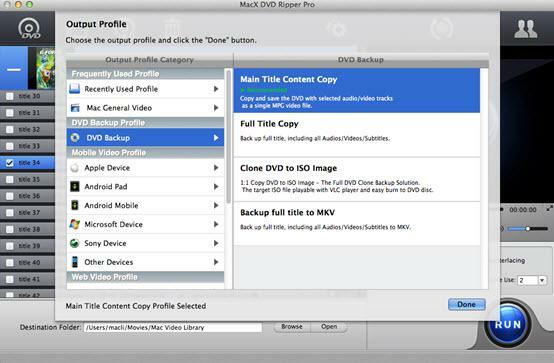 But MacX DVD Ripper Pro will remove all DVD encryptions and allow you to rip your protected DVDs easily. Rip Copy Any Family DVD - Cost You 5 Mins Only! MacX DVD Ripper Pro - first one to support advanced Intel QSV and multi-core CPU tech, can rip and copy family DVDs movies to MP4 MOV H264 MPEG-4 MKV VOB AVI iPhone iPad Android in 5 mins! It can even rip damaged DVD, unplayable DVD, workout DVD, 99-title DVD, AV Japanese DVD with nary a trouble. Free download the movie ripper on computer (Get the Mac version or Windows version based on your system) and runit. Then click "DVD Disc" or "DVD Path" button to import the DVD. To rip DVD to the mobiles, please select the hte mobile supported formats like MP4, MOV, M4V etc, or simply choose the iPhone iPad Android profiles from the list. Click the "RUN" button to start to rip the family DVDs. If you have any problem during the copy process, check the Safe Mode to avoid any error. Best MacX DVD Ripper Pro allows you to freely rip and convert any new copy-protected family movie DVDs to ISO image, MPEG2 and MKV or even various portable devices.